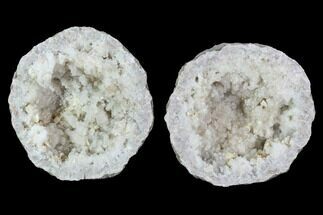 The area around Keokuk, Iowa is sometimes referred to as “the geode capital of the world. 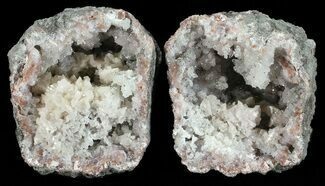 Geodes have been collected from the Lower Warsaw Formation within about 100 miles of the city for over 150 years. 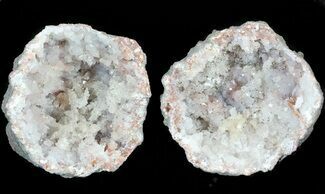 Keokuk geodes contain a variety of minerals, but quartz is dominant in most. 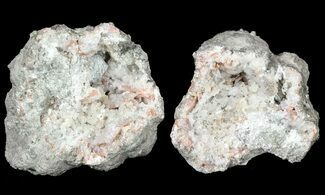 Calcite is also a common mineral in many geodes though 17 other minerals have been identified in Keokuk Geodes including pyrite and sphalerite. 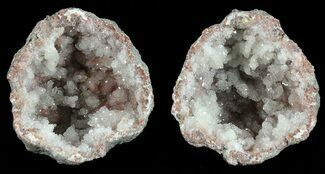 How do Keokuk Geodes form? 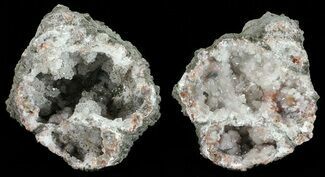 Unlike most geodes that form in volcanic rock, Keokuk geodes are found in the sedimentary rock. They started out as concretions, balls of mud, which formed around organic material about 340 million years ago. 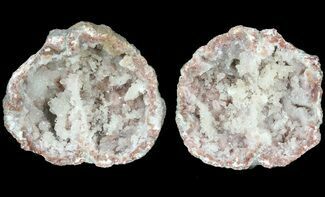 The outer shells of these concretions were subsequently replaced by chalcedony and the interiors of the concretions were dissolved, leaving a hollow space into which quartz crystals could grow. How big are Keokuk Geodes? 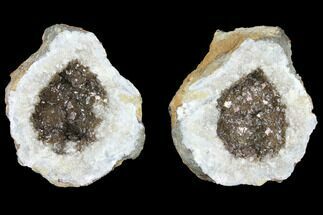 Most geodes are 2 to 5 inches wide, though specimens as large as two feet across have been found. 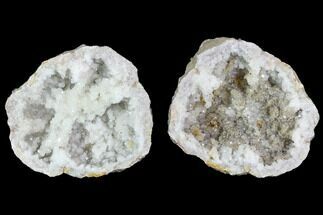 What minerals are inside Keokuk Geodes? Where are Keokuk Geodes found? 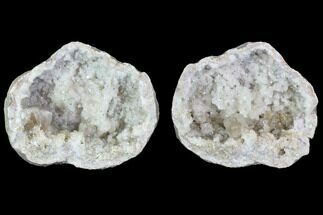 Keokuk Geodes are collected from the Lower Warsaw Formation within about 100 miles of the city of Keokuk. There are over 300 known geode containing exposures. The main exposures are found in stream beds that are tributaries of the Mississippi River. 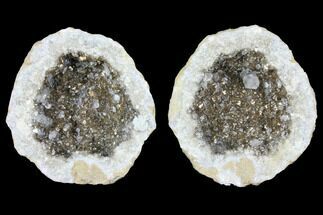 Many geodes are found loose in the creek beds, having weathered out of the rock and been transported downstream.